Have you ever wondered what the ATA Mentoring Program entails, who joins, and what they get out of the experience? With the application deadline for this year’s program approaching, I’d like to share my experience in the hopes that it may help shed some light on the questions that people interested in the program might have. My full-time, in-house translation experiences in Luxembourg and Houston were wonderful opportunities for me to hone my French and Spanish translation skills and work alongside very detailed and incredibly knowledgeable colleagues. As I recently made the switch to working for myself, I felt a bit like a fish out of water. I was confident the ATA Mentoring Program would be a wonderful opportunity for me to learn from a generous member’s experience and wisdom. I needed a trusted resource to bounce ideas off of, and I was really looking forward to receiving solid, personal advice from someone who had been in my shoes before, building her own T&I business. There was so much to learn about expanding my horizons beyond Houston, working with clients around the world, juggling a larger number of clients with very different work procedures and expectations, attracting and satisfying private clients, and getting my foot in the door at agencies far, far away. I was so thankful and humbled when the committee wrote to introduce me to my mentor, past ATA President Dorothee Racette. From our first conversation, it was clear (and no surprise considering her accomplishments) that when Dorothee signs up for something, she delivers. We got started immediately and there has been no lull from her since. Dorothee is an ATA-Certified Translator and productivity coach. She knows the industry inside and out and is warm, easy to talk to, and has a lot of insight to share. The experience of learning beside Dorothee has been far better than I could have imagined when I sent my application in last February. Dorothee’s tested method, which originated from her training as a coach, is something I can hands down recommend to other mentor/mentee pairs in future years. From the get-go, Dorothee explained her expectations of me, inquired about my immediate and long-term goals for our time together, created a schedule we could follow, and started a file in Google Docs we could share. We talk on the phone every two weeks for about 30-45 minutes about a particular, pre-designated topic. Should something come up between sessions, I am free to e-mail her, but I find we are able to cover a lot in those structured calls. The shared Google Docs file is where we keep track of the topic for our next call and any assignments I am expected to do. It’s also where I list the questions I have for our next call. She is then able to use this document to prepare for our chat. A few topics we have covered so far this year are: how I can follow in her footsteps in developing a medical specialization, what I can learn from her path to ATA leadership, how I can more effectively use the power of dictation software, my preparation for and debriefing of my first ATA Conference, as well as specific, detailed questions about working with agency and private clients, setting goals for the next year, and more. Whenever I think of a new topic, I can just open Google Drive and write it down, and then come back to it for future calls. It has been a great tool to keep us on task, and to make sure I don’t miss the opportunity to get Dorothee’s expert opinion on something I might otherwise forget. Dorothee’s advice for new mentor/mentee pairs is to set a regular schedule and to confirm the next conversation at the end of each call. She has found that the “call me when you need me approach” can be ineffective because either the mentee may be too shy to intrude on the mentor’s time, or the mentee may call too often at inopportune times. Under Dorothee’s mentorship, I have better focused my marketing efforts and brought on a number of new clients who I truly enjoy working with and feel appreciate the value of my work. 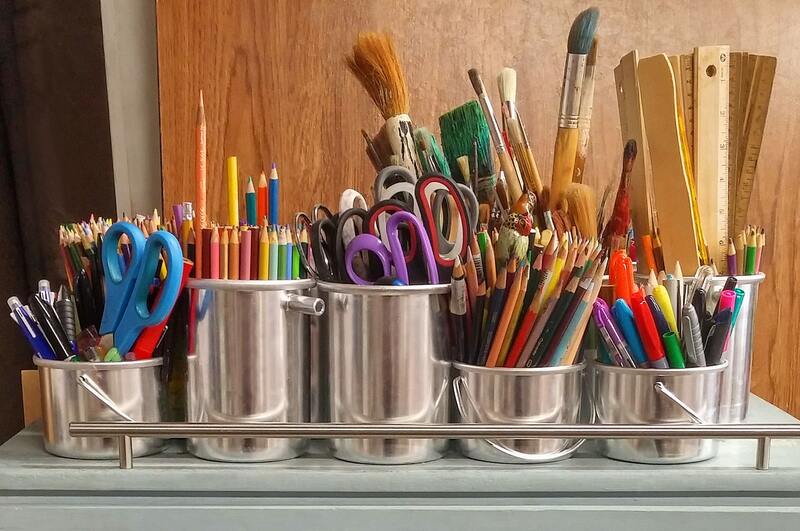 Dorothee has given me a judgement-free space to learn the ins and outs of working for myself, thinking long-term, and respecting myself and my skill set, all of which have helped me grow my business. This year’s Mentoring Program will run from April 2019 through March 2020. Applications must be received by March 4th, and applicants will be notified of their results by April 15th. Any and all ATA members are welcome to apply. Whether you have a long-term goal you’d like guidance on, are trying to develop a new specialization, even after years in the industry, or you find yourself in a transitional phase of your career, there isn’t one mold you need to fit into. What you need for success is commitment, dedication, clear goals, and follow-through. One handy tip from Mentoring Committee Chair, Kyle Vraa, is that it is more helpful if applicants talk more about what they want to accomplish in the future than what they have done in the past. He recommends keeping discussion of the past to 25% of the essay, while devoting the rest of the essay to future goals. The Mentoring Committee selects participants through a competitive application process. Most mentoring pairs work in different languages, although that is not always the case. Kyle explains that factors such as your field of specialization (or intended new field of specialization), professional goals, and interpersonal compatibility are taken into account when matching pairs. The ATA Mentoring Program webpage has a lot of information that can help you decide if the program is right for you, along with detailed instructions on how to apply. An incredible thank you is in order for the ATA member mentors and the Mentoring Committee members who so graciously offer their time to volunteer and help other members. This program would not be possible without your dedication and willingness to speak openly about your experiences. Thank you to everyone who has made this program possible. ATA’s Mentoring Program has had two lives so far. Its first life began as the brainchild of then ATA Board member Courtney Searls-Ridge. 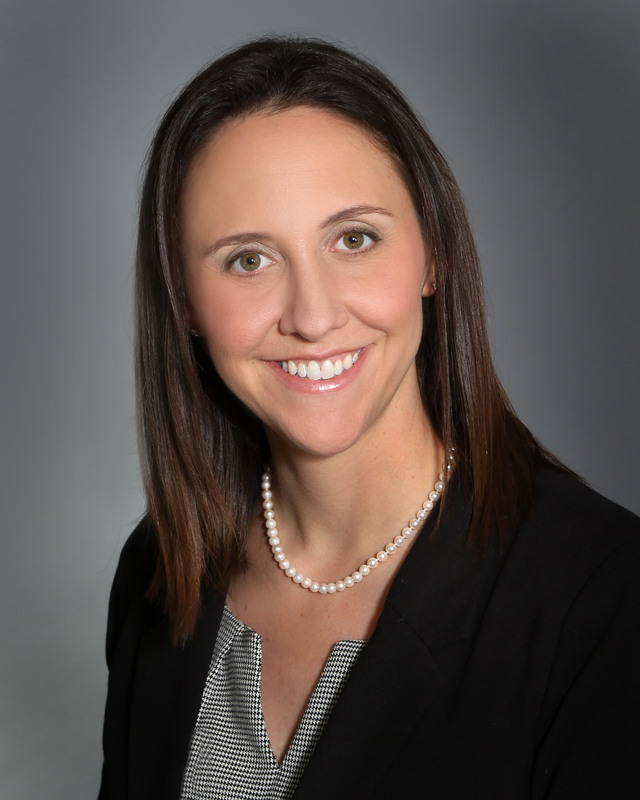 Courtney followed her dream to build a mentoring program for ATA members: she organized, recruited, and cajoled to get the program off the ground in 2001. The program’s second life began in 2012 when Courtney passed the baton on to Susanne van Eyl. A year earlier, I had been the last mentee accepted into this first program, and luckily for me my mentor was Susanne. As so many mentors do, she encouraged me to grow professionally, in this case with an invitation to serve on the new Mentoring Committee. Paula Gordon rounded out our group of three. 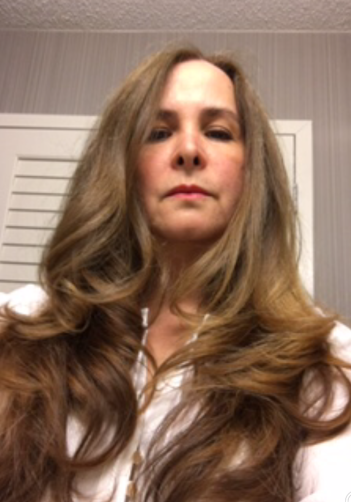 In 2014, we welcomed a new member, Cathi Witkowski Changanaqui, to the committee. 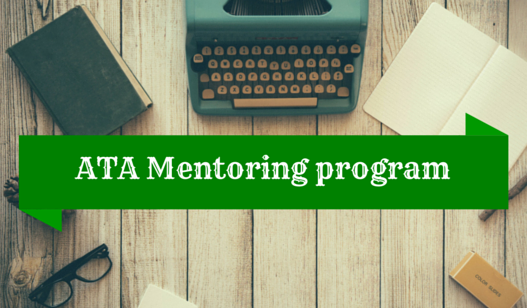 The Mentoring Program is an ATA membership benefit. Any ATA member can apply to become a mentee; this is a valuable privilege many members don’t know they have. Although the majority of mentees accepted into the program are newcomers, you don’t need to be a novice translator or interpreter to apply. As an example, if translating patents day after day has lost some of its appeal and you are now contemplating translating literature or, for that matter, opera libretti for the opera house nearest you, the Mentoring Program may be able to help you. Although we can’t promise that you will soon hobnob with editors—the real ones, as opposed to the revisers some of us are—of publishing houses or rub shoulders with the favored divas of Lincoln Center, it should not come as a surprise that ATA counts many talented translators and interpreters who are experts in a wide variety of fields, including literature and opera. The ATA Mentoring Committee will track down one of these members to be your mentor and help you put the next piece of your professional puzzle in its proper place. The main objective of the Mentoring Program is to convey the business side of the translation and interpreting profession to the mentees. For this reason, we don’t pair mentees with mentors working in the same language. It is unlikely, therefore, that the mentor and mentee will get sidetracked by language-specific questions. Potential mentees should have some professional experience before applying to the program. To apply, individuals must submit a completed ATA Mentee Statement Worksheet with an essay explaining their background and desire to become a mentee. Applications must be submitted by March 1 of each year. After their introduction, mentor and mentee will decide jointly on the modus operandi of the mentoring year, which begins and ends in April. It is the mentee’s responsibility to drive the mentoring relationship; that is, to set goals, stay in touch with their mentor, and establish milestones for themselves. It is the mentor’s responsibility to be there with advice and encouragement. We have tremendous appreciation for our mentors who are volunteers drawn from the vast ATA membership. Translators and interpreters are artisans whose craft and business savoir-faire need to be not only honed but also shared. Like any other profession, the more accomplished members will retire sooner or later, and not necessarily because of age—and why not, since there are other things in life to explore, no matter how much we love our profession—and leave the younger members to carry on. 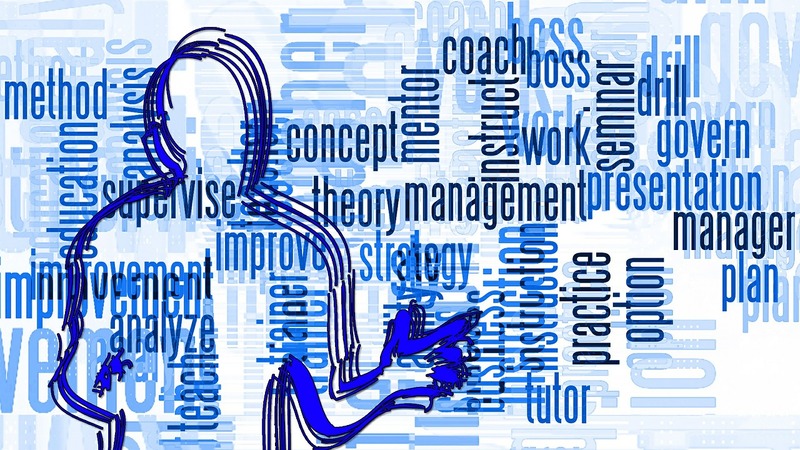 Facilitators and transmitters of knowledge, mentors are an essential part of our profession. If you have the professional experience and the desire to be part of this heroic group, we will be delighted to hear from you. During this year’s ATA Annual Conference in Chicago, the Mentoring Committee will present a session entitled “How to Be a Happy and Prosperous Translator or Interpreter.” We will discuss the Mentoring Program in more detail, as we have done at past conferences, but we will also try something new: committee members will discuss their own experiences in some of the topics which should interest newcomers, such as getting a good and fair price for your work and keeping their passion for their careers alive in spite of circumstances which may spoil it. About the author: Eric Chiang likes to translate legal and religious texts in English and Chinese and is a perennial student of the French culture.